In a previous post on the CoLab, we highlighted the channels that make up the Cooperation Laboratory. The CoLab is a hub of activities, where each channel functions independently with leaders and scribes. Most members of the CoLab are on their way to becoming knowledgeable in Rholang as RNode runners and dApp developers. Bouties for October include issues on the bounty system and direct sponsor payments. Two channels were added to the CoLab in October, BYOID and RBox. 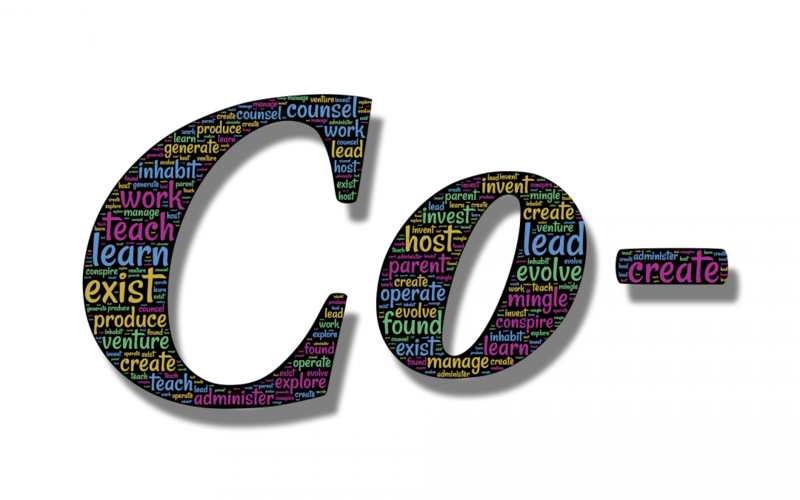 The BYOID Cooperative is an informal networking association of individuals spawning various BYOID cooperatives and other organizations employing self-sovereign identity. The members obey cooperative principles in various jurisdictions and recognize each other’s membership without any global legal entity governing the association. The aim of the association is to foster trusting self-sovereign identities across organizations, enabling trustworthy pseudo-anonymous identity and reputation at scale from the bottom up. It is intended to enable cooperation at scale by developing consensus across organizations using interoperable decentralized cooperation processes and tools. We all have many accounts on many systems. Each is an identity persona we create but may be controlled by others who have their own interests in mind. Our identity includes much more than our credentials, public keys, and social media handles. It includes all that is known about us. We can own our own identities; the Bring Your Own Identity Cooperative aims to make that a reality by our cooperation. You could prove your identity once instead of to each site you visit? You could develop a trustworthy anonymous identity online that is good everywhere for all your persona? You could manage your identity and other personal information resources yourself with proven privacy? Instead of using insecure email, chat, and social networks, everyone could use emerging decentralized social networking with proven security and privacy? Instead of a “To” list, you have a “who needs to know?” and “who is allowed to see?” seeding new BYOID identities from whom permission will be requested when you share each other’s information resources. You then become BYOID co-operators strengthening each other’s identity. Candidates for connected trusted organizational identities currently include RChain Co-op, Holochain, DAOstack The Digital Life Collective, Sovrin, and Inrupt. The BYOID members had a reboot meeting on the 9th October, 2018 to re-strategize on the best way forward for the cooperative. This is a turnkey RChain node pre-sold and preloaded with a stake to be self-funded. It is being considered as a means of seeding a pool of personal validators managed by the RChain Co-op. If you had an RBox, RStick or RKit, you could join an RChain validator pool; your seniority and transaction fees would more than cover the cost. Buying RHOCs to stake now (with RHOC or dollars) is an opportunity for people to make good use of their RHOC. For those who do no own RHOC, this is a painless way to attain it at a great value and be part of a network we all own and run collectively. Holochain made over $1M on the presale of holoports; in some ways, the RBox is even more compelling. It creates a shard of personal validators to prove the economics and bootstrap major validators interest. RBox is just one of several efforts to get validators. It is a proof of concept that is a maximally decentralized network of plug-and-play personal nodes managed by the co-op that can meet our short-term needs. The Video-Colab is a video library which takes care of managing and indexing of videos. This includes the Rholang tutorials, member meetings, work-study sessions, and video summary articles. A minimal RChain-based dApp game that uses RChain-API. A web-of-trust based distributed budgeting and rewards dApp. A chrome extension for generating client-side signatures akin to Metamask node-client. Join the RNode Office hours in CoLab every Thursdays at 4 pm EST to participate. The Tampa Bay Shard Collective, or TBShard, is being created for the initial purpose of doing RChain node validation cooperatively and to promote RChain and its application in the Tampa Bay area. It was conceived in work study and solidified in the Tampa RChain Meetup Oct 30, 2018.